Stem cell therapy offers the possibility of using these stem cells to grow into replacements for injured or diseased tissues such as bone, cartilage, muscle, nerves, and so on. What makes this such an exciting treatment option is that it allows us to introduce real tissue replacements for damaged tissues, rather than artificial replacement implants. Currently stem cell therapy for dogs is primarily being used with some success to treat bone, joint, ligament problems and autoimmune conditions. The technology involves the use of adult stem cells, which can be easily obtained, without any harm to the host animal from which they are taken. A small amount of adipose (fat) tissue is surgically removed from a host animal and a centrifuge is used to separate the stem cells from the fat tissue. The tissue does have to be removed surgically, so if you are considering stem cell therapy later in your pet's life, we recommend obtaining the tissue during another procedure, such as a spay or neuter. The stem cells collected are then injected directly into the injured joint, ligament, or bone where they quickly begin to grow, potentially replacing the damaged tissue with new, healthy tissue. Stem cell therapy holds immense promise for becoming a viable treatment option for a variety of health issues dogs face. At Metairie Small Animal Hospital, we believe that providing your canine companion with the highest quality medical care means being on the cutting edge of the latest technologies and procedures. This is reflected in every aspect of our approach to stem cell therapy for dogs. Our facilities feature state-of-the-art equipment, and our veterinary team stays up to date on the latest canine stem cell research available. 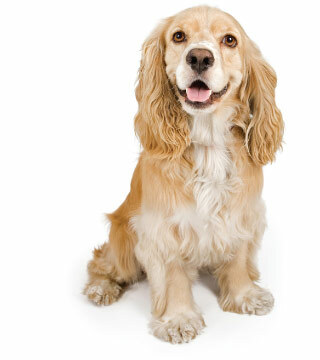 Who is a good candidate for canine stem cell therapy? The ideal candidate for canine stem cell therapy is a dog in otherwise good health that suffers from arthritis or hip dysplasia, and who doesn't respond well to his or her medication. Or, a dog whose quality of life might further suffer due to invasive surgical procedures. Because canine stem cell therapy uses the patient's own tissues, a canine must be in overall good health in order for any collected stem cells to be effective. How are canine stem cells collected and used? The best part is that canine stem cells are not synthetic cells being added to a living, biological organism. Rather, canine stem cells are a dog's own natural healing cells. Because of this, there is much less chance of rejection or adverse interaction, and there are also fewer potential side effects. Are there any adverse side effects associated with dog stem cell therapy? Due to the infancy of canine stem cell research and therapies, there is not yet a large body of information about possible adverse side effects. Just like any medical procedure, the risk for adverse side effects from dog stem cell therapy are ever-present. Risks could be associated with the tissue removal procedure, or from a patient's body rejecting the newly placed cells. Other issues with stem cell therapy for dogs include its effectiveness when used alone. This is because the prescription of traditional medication will accompany stem cell therapy procedures. Deciding whether or not stem cell therapy for dogs is the right choice for your beloved canine companion is a very personal one. No matter what route you choose to take, we are here to help you make the decision that is in the best interest of your dog, and also fits your budget and lifestyle. At this time, most stem cell research for dogs currently focuses on treating bone, joint, and ligament problems, rather than treating more advanced illnesses and diseases. We are extremely confident that the day will come when many canine illnesses and diseases can be treated through advances in canine stem cell research. One thing seems to be clear, stem cell research for dogs promises to revolutionize the veterinary industry, and is already showing good results with canines that have been treated with dog stem cells to repair joints, bones, or ligaments that have been damaged by injury or disease. We are here to help educate you about the latest canine stem cell research advances, and answer any other questions about dog stem cell therapy you might have. If you would like to discuss how stem cell therapy can benefit your dog, please contact us to schedule an appointment. Our veterinary team can help you decide whether or not canine stem cell therapy is the right option, including discussing cost and prognosis. Schedule A Veterinary Appointment To Discuss Stem Cell Therapy For Your Dog!